I think one layer cards are the hardest to create, so I challenged myself to work with a single layer of watercolour paper, adding some texture by dry embossing lines on my card front. I left a section unembossed for the sentiment. 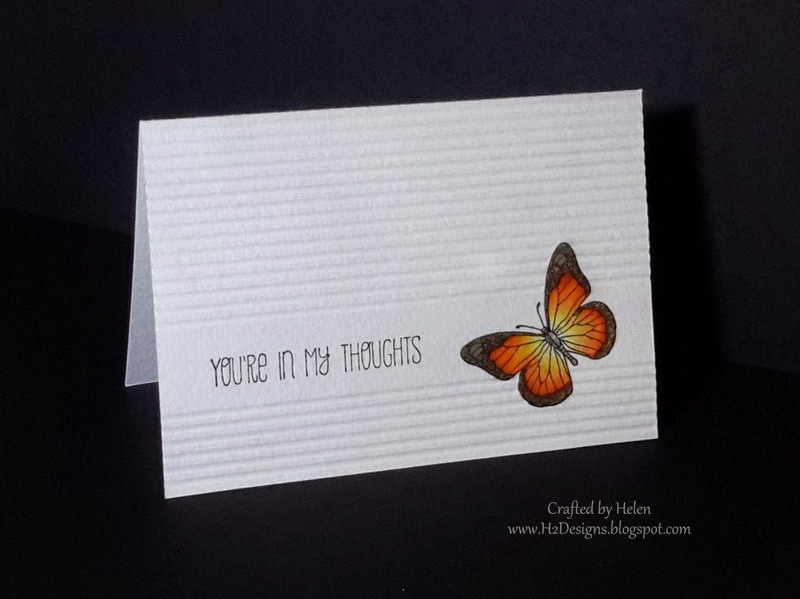 I love the range of colour you can achieve with watercolouring, as opposed to other mediums, & used black, basic grey & smoky slate, as well as new SU colours hello honey & tangelo twist to colour the butterfly.